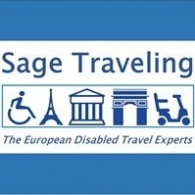 Average rating of 3.0 for all Sage Traveling trips. Experience a private Ibizan Herb workshop with a master alchemist. St. Paul’s Cathedral, British Museum, National Gallery, Trafalgar Square and much more. See the fascinating Arc de Triomphe, Champs-Élysées Boulevard, Louvre Museum, d’Orsay Museum, Rodin Museum, Luxemburg Gardens, and more!